We answer Your Unanswered questions !!! Astrology does not claim to be the answer to everything but it can provide striking insights and clues to many of your unanswered queries in life. psychic powers of an individual, in addition to warding off the ill-effects of planets, by their curative powers. 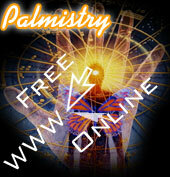 Palmistry is the only authentic science which reveals ones complete past and present. The palm of a person has the whole future imprinted on. The result admired by thousand of users. You ou will wonder, how is it possible ? Alas! we make things possible. Meticulous to the last, you feel nauseous if your sense of order is violated. Finicky perfectionists, everything has to be attended to with care down to the last detail. You don't take the lead easily, but any task assigned to you is done perfectly. You love showing off your mental and verbal skills in a debate. Shy and gentle, you make friends for life. Wondering how much others love you and are compatible with you? Get lucky names for yourself and for your baby based on your numerology. Handwriting is an indelible stamp of ones personality. Your handwriting can say more about you than you may think. It reflects your personal style and is a unique guide of your character. All those dreamers out there. You can have your dreams interpreted by our experienced modern-day Daniels..
most visited section- The Love Test. You can alter your appointment with the maker. Know your Doom's Day from our Death Test which hit headlines in major media. Collection of rare gems & crystals in display.Which has healing and magical properties.